, "to help the industry build on the world-class creative talent base already in the UK." Raise the Game involves four key strands: a mentoring programme teaming experienced business gurus up with small games companies in order to grow their business; recruitment assistance and help in easing skill shortages; the nurturing of new innovative talent and, finally, Crossover's 'innovation labs' – bringing small games companies in contact with commissioners from other creative industries from beyond the traditional games sector. EIF's release just in informs us that: "NESTA believes innovation across these areas is vital for helping the billion-pound games sector perform successfully against global competition. The initiative builds on an already world-class creative talent base in the UK to help games SMEs achieve the commercial success their talent deserves." Director of Creative Economy Programme with NESTA, Jon Kingsbury, said: "We are delighted to have been invited to this year's [EIF] event to unveil Raise the Game, which is seeking to provide a means by which the industry can work together and draw from the enormous amount of creative talent currently available. "This new programme will be instrumental in fostering creativity and building relationships throughout the games industry and beyond to ensure the innovation and growth capacities of UK companies are harnessed." The Edinburgh Interactive Festival is one of the UK's best games related events, in terms of bringing together consumers, avid gamers and creative members of the UK's too-little-celebrated games development industry. 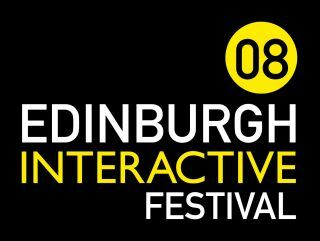 Basically, if you want to get hands on time with the latest games, check out previews of what's in store for Xmas or just do a bit of hob-nobbing to nab yourself a job, then this year's Edinburgh Interactive Festival 2008 (10th-12th August) is the place you need to be.